Like more than 75% of organisations you may be planning or continuing a shift to cloud HR technology in the next 2 years. With the prospect of investing significant time and dollars in such an initiative you want to make sure you get it right – from the get go. 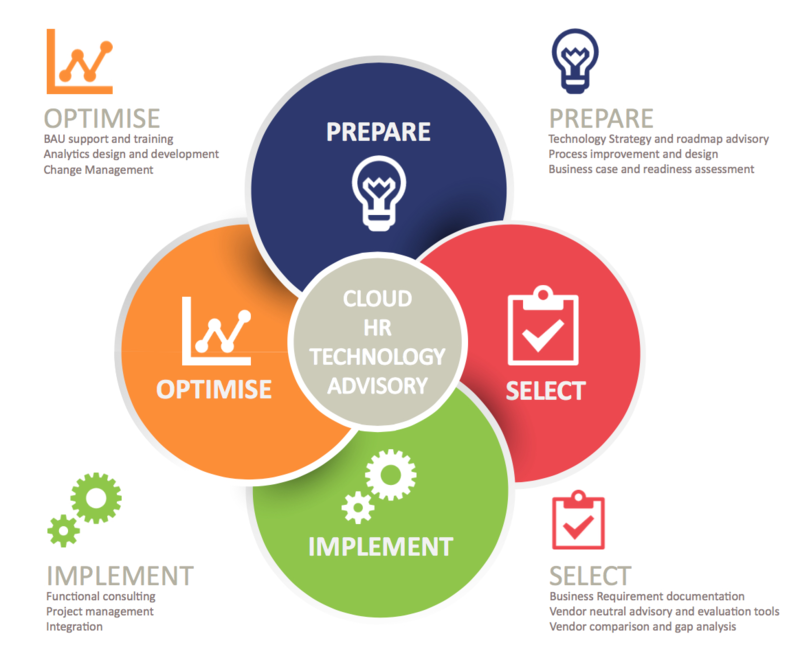 Pinpoint HRM has over 14 years’ experience assisting organisations to prepare, select, implement and optimise Cloud HR solutions. We are armed with a suite of tools, resources and expertise that can be rapidly deployed to put you on the fast track to HR tech success. Accessing our HR tech ‘toolkit’ and our team of expert resources will help you overcome the key challenges businesses experience at every stage of the project lifecycle. Explore our services, tools and resources in depth by clicking each of the icons below..